My laptop is going crazy these weeks and I think it is about time to get an IMac! That would make my life easier! When we were in Prague, the first day I decided to wear my new Chicwish baby blue dress. It was just perfect for this beautiful city. We’ve been wanting to visit Prague for so long now and I can’t believe we’ve been putting it off for so long. This city is amazing, the streets, the people, the food. We love’d everything about it! Baby blue is one of my favorite colors and I adore midi skirts so you can understand why I love this dress so much. 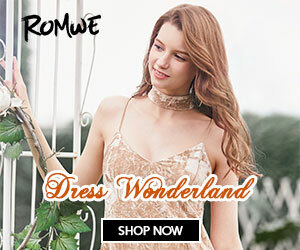 Even though there are so many choices on Chicwish, like believe me… their store has everything you want and dream about, I had to have this one! It goes perfectly with high heel sandals, but the rest of the day I wore it with flats and it still looked amazing! Laptopul meu a cam luat-o razna saptamanile astea si cred ca e cazul sa investim intr-un IMac! Asta mi-ar face viata mult, mult, mult mai usoara! Cand am fost in vacanta in Praga, exact in prima zi am ales sa port aceasta rochie albastra de la Chicwish. A fost absolut perfecta si potrivita pentru frumusetea acestui oras. Ne doream sa vedem Praga de ceva vreme si nu imi vine sa cred ca am asteptat pana acum sa o vizitam. Acest oras este superb: strazile, mancarea, oamenii. Ne-a placut chiar tot! Albastru deschis este una din culorile mele preferate si ador rochiile midi, asa ca ma intelegeti de ce imi place aceasta rochie atat de mult. Chiar daca sunt atat de multe optiuni pe site-ul de la Chicwish si chiar sunt, credeti-ma pe cuvant, magazinul lor online are de toate, chiar tot ce va doriti, eu m-am decis pe aceasta rochie. Merge foarte bine cu sandale cu toc, dar sa stiti ca restul zilei am purtat-o cu pantofi fara toc si a aratat la fel de minunat!